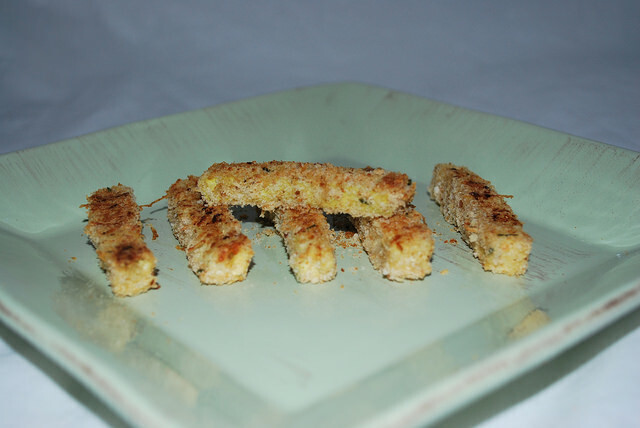 These oven baked Parmesan and Italian Breaded Zucchini Fries are not only a healthy alternative to french fries, they are very tasty! Another nice thing is that it only takes 4 main ingredients to make! 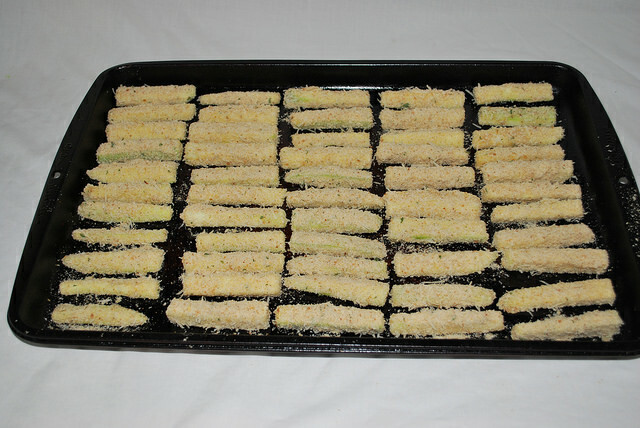 You will need about 15 minutes to prepare and 25 mins to cook the zucchini fries. 1 Cup of Italian Style Bread Crumbs. ½ Cup Shredded Parmesan Cheese. Bake in oven 20-25 mins, turning over after 10-12 mins. 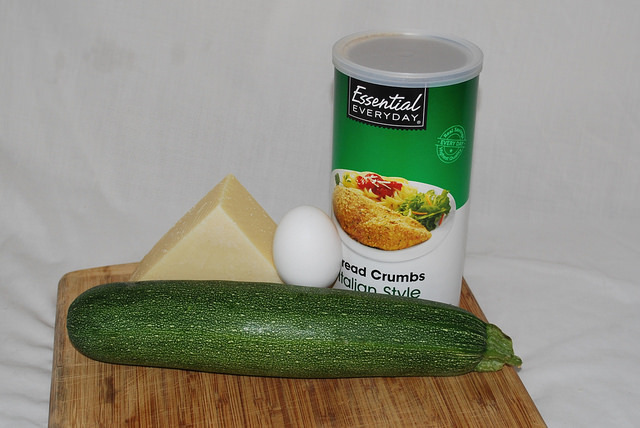 Using a peeler to remove the skin from the zucchini helps the egg and breading stick a little better, so we recommend you start with this step. 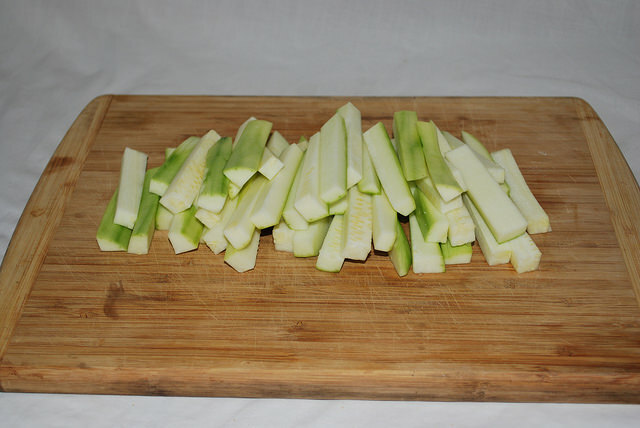 Once the skin is removed, cut the zucchini into desired fry size. We generally cut them to about 3 inches long and ½ inch by ½ inch thick. The thicker they are, the longer they will have to cook. When you are done cutting the zucchini into fries, set them aside. 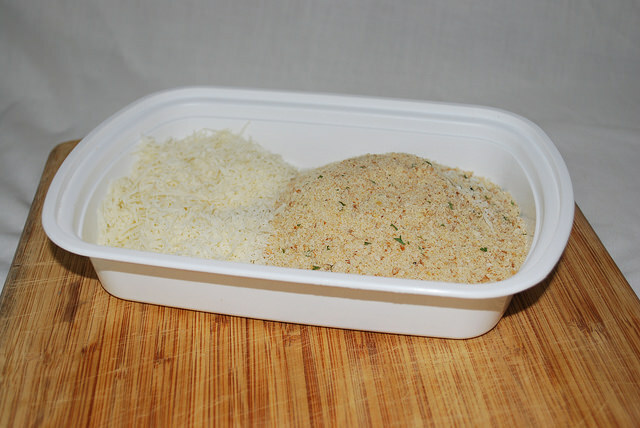 In a small container, mix together the 1 cup of Italian style bread crumbs and the ½ cup of shredded Parmesan cheese. In a separate bowl, mix the egg until well beaten (sometimes we also add milk to the egg, just to make the egg last longer; especially if we have a big batch of fries). Before you start breading the zucchini fries, spray a 18″ x 26″ sheet pan with non-stick cooking spray. Take a few of the zucchini pieces and dip them in the egg, being sure to cover it well, and lightly shake off any excess egg. 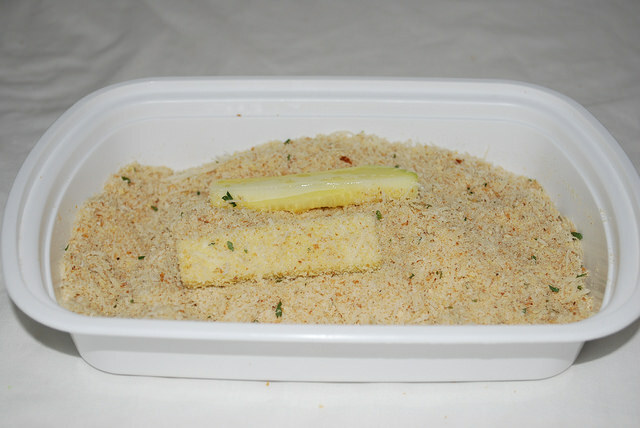 Depending on the size of the container you are using, add a few of the egg coated fries into the bread crumb mixture. Make sure they are fully covered. I like to gently press as much breading as I can on the fry to make it stick to the zucchini. Once they are well coated, place them on the sheet pan, spacing them about a ½ inch apart. When all of the breaded fries are on the sheet pan, spray them liberally with non-stick cooking spray. It helps add a little more crunch to the zucchini fries. Now you can add the pan to the oven and bake for 20-25 minutes. Flip them over after about 10-12 minutes. Are there any french fry alternatives you like to have? Feel free to leave us a comment below. If you have enjoyed this recipe please share this with your friends using the buttons below. Tagged Dinner, dinner sides, Side dishes, Vegetarian, Veggies. Bookmark the permalink.